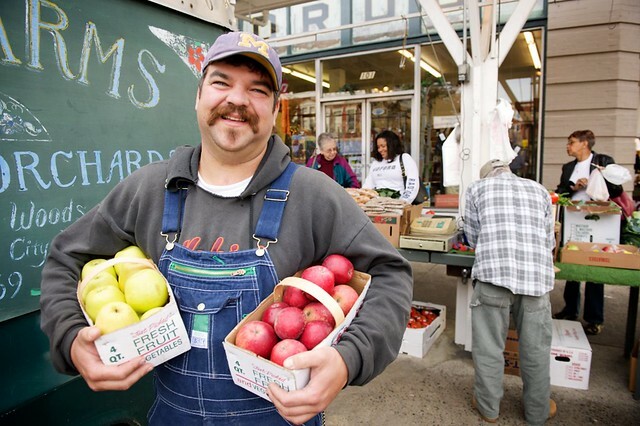 The farmers markets in the Roanoke Valley in Virginia’s Blue Ridge offer unique opportunities to connect with the local culture and flavors of the region. Virginia’s Blue Ridge features an abundance of farms and a strong agricultural community, which leads to a variety of farmers markets that are supported by locals and visitors. The farmers markets also serve as community gathering places where local artisans, bakers, and craftspeople feature their goods. Whether it’s deliciously ripe produce like apples, peaches and tomatoes, fresh-baked cakes and breads, or unique jewelry and artwork, it’s all part of the experience of a Blue Ridge Day at the farmers market. What better way to experience a destination than by tasting its local foods and hearing directly from locals who have literally put down roots in the region? Many of the markets also host special events throughout the year that include seasonal activities, cooking demonstrations, live music and more. From the Historic Roanoke City Market in Downtown Roanoke to the Salem Farmers Market in Downtown Salem, Vinton Farmers Market, Botetourt Farmers Market, Grandin Village Community Market and many others, supporting the local farmers and vendors is a special part of the economy in Virginia’s Blue Ridge. Opened in 1882, the Historic Roanoke City Market has been recognized by the Lyndhurst Foundation as a “Great American Public Place” and is the oldest continuously operating open-air market in Virginia. 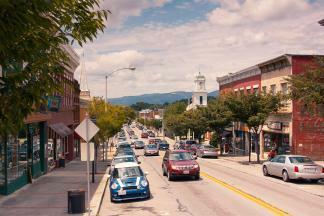 It’s open daily throughout the year and is the perfect spot for a stroll through Downtown Roanoke. Check out the complete list of farmers markets below and remember to leave extra room in your suitcase for all the unique treasures you’ll find during your visit to Virginia’s Blue Ridge! Explore the quaint shops and unique charm of Main Street in Downtown Salem!